Microsoft Access 2016 Training teaches you how to design data tables, select appropriate data types and relate tables logically. We also offer Microsoft Access 2013 & 2010 trainings. The key objective is to teach the student the most important aspect of using Microsoft Access 2016 for simple to more complex projects. Design Reports for Easier analysis in Microsoft Access 2016. Register for the 2 Days Microsoft Access 2016 today by simply clicking on the chosen course date available at the top of this page. 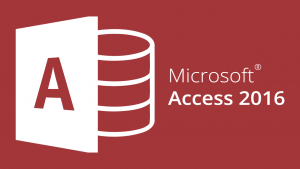 Submit an online enquiry if you have any questions regarding Microsoft Access 2016 training. Call us at +65 6296-2995 or email to training@intellisoft.com.sg for any questions, or to register for the upcoming class of Microsoft Access 2016. The content was well-organized and easy to follow. The exercises were relevant to the topic & useful. Trainer was very helpful & interactive to teach different functions & usage of Access. Working on examples along the way helps in understanding the lessons. I like the way the trainer conducted the class. Training help me to create database for my department. Sessions were interactive, positive and fun environment. Had lot of choice of great food.